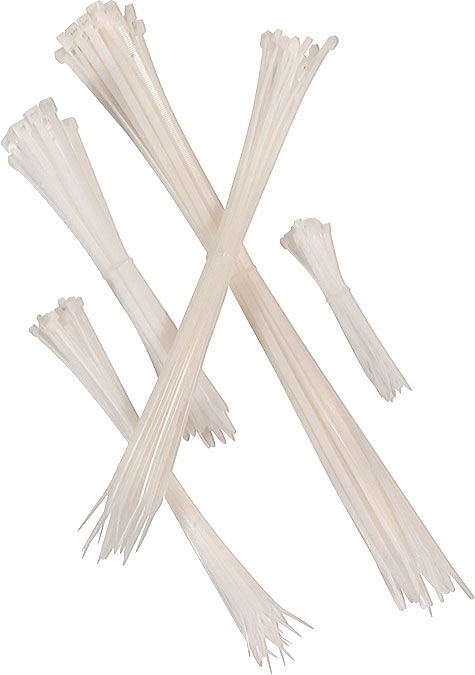 CABLE TIE WHITE 100/PKT is rated 4.5 out of 5 by 8. 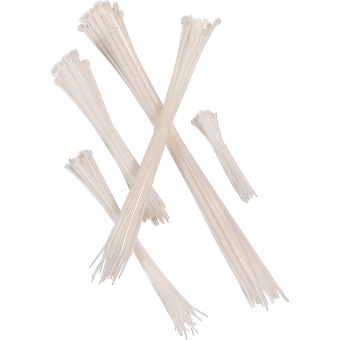 Self locking nylon cable ties. Rated 5 out of 5 by Gentle giant cyclery from Good product! Bought this to use at my bicycle workshop. Using this for customer's bikes with no problem at all. Great quality and price is good!! Rated 5 out of 5 by TAILER from good quality Easy online purchase and good product. Item as described. Rated 1 out of 5 by Alan Lim from Break very easily The latest stock got problem. break very very easily. Rated 5 out of 5 by Ben2409 from Great Seller and highly recommended I bought this item and it was as described. Very happy and satisfied with the item. Purchase was easy and item was, delivered to me fast. Highly recommended seller. Rated 5 out of 5 by Jin Han from It is as it is! superb quality at great prices with best of services! what else can you ask for? Rated 5 out of 5 by SkarifiedDude from Sturdy and no defects I am happy with the packet of white cable ties as I previously did not know they had this color. Good product with no defects on any of the ties. Rated 5 out of 5 by SkarifiedDude from Well...its cable ties. It is a packet of cable ties and its a hundred in a pack. Pretty much enough for whatever you want to use it for and its pretty good quality too. Was hoping for some colored options though but its not a deal breaker.